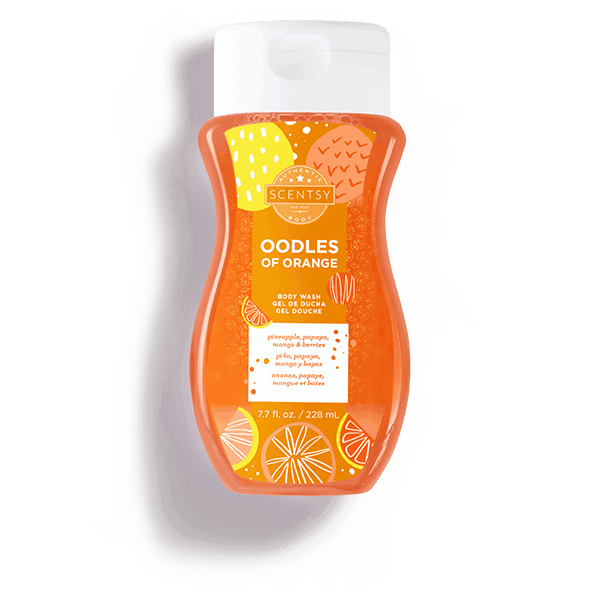 Oodles of Orange Body Wash – Citrus notes punched up by PINEAPPLE, PAPAYA, MANGO and BERRIES. BODY WASH You’ll be singing in the shower! Moisturizing aloe and sunflower oil delivered in a luxurious lather make for the ultimate, everyday cleanser. 7.7 fl. oz.